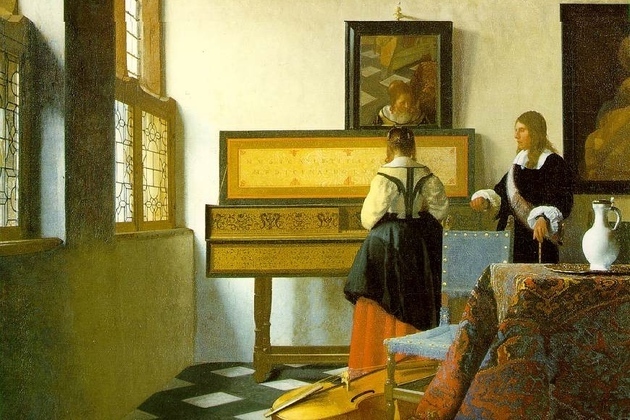 17th Century painter Johannes Vermeer has been an enigma ever since his work was discovered in the early 1900s. How did the artist manage to exercise such consummate control over tone and blur hundreds of years before the color photograph was invented? One theory involves a camera obscura — an early optical device that could project an image of what it saw onto a screen, potentially giving him the equivalent of a photograph to work from. This month, Vanity Fair tells the story of longtime tinkerer and inventor Tim Jenison, who embarked on a five-year quest to recreate the conditions of Vermeer’s workroom, hoping to see if simple technology could turn a novice into an oil painting master. Paul Walker, known for his role in the ongoing The Fast and the Furious series, died this afternoon in a car accident in Santa Clarita, CA. He was 40. According to TMZ, the car Walker was in lost control and crashed into a tree. Authorities are currently investigating. Passing around business cards, cards, resumes, and elaborate social media stunts to find your next gig? 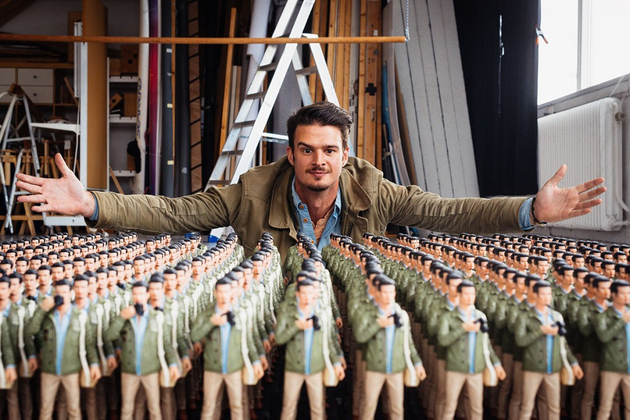 You’re getting outdone by a Malmö, Sweden-based photographer, Jens Lennartsson, who created an army of miniature copies of himself to send to magazines and other firms who he thought might be able to find use for his skills. Getting impatient for Adidas’ 2014 lineup? Maybe you want to talk to Chris Anderson about doing some work for you, then: the UK-based artist has been commissioned by retailer Chimp to make cardboard versions of a number of next year’s shoes. 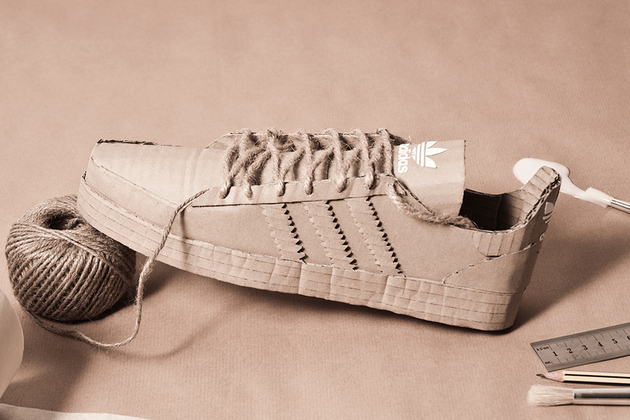 It’d be difficult to mistake them for the real thing — they’re all cardboard-colored, for one thing — but they feature a shocking level of detail, especially considering they’re made out of the same material as the box that the real shoes are shipped in. Just make sure you don’t step in a puddle wearing these (then again, true sneaker fanatics don’t want to get their actual Adidas dirty, either). While you may need your caffeine fix on most occasions, avoid coffee or any other drink with it before your next interview. Your adrenaline doesn’t need that jolt, and it will likely harm it instead, says Desha Peacock, director of career development at Marlboro College in Marlboro, Vt.
Sean Knapp is EVP & chief product officer at Ooyala. In the 1980′s, about the time Ferris Bueller took his famous day off, a war was first waged that has resurfaced in new forms ever since. No blood has been shed, but billions have been spent by factions vying for one prize: to be the first thing people see when they fire up their PCs, smartphones and tablets. The stakes are high, and there will be blood. Control of the screen is a sophisticated play requiring good timing, deep pockets, the right content and the ability to deliver the best viewing experience. At stake is a whopping share of the $150+ billion-a-year broadcast TV industry. Competitors for the TV start screen include content providers, TV manufacturers, device manufacturers, and of course the big guns, the service providers. (Admittedly there are dozens of other vying for control, but in the interest of space, let’s focus on the categorical front-runners in the U.S.). But, what weapons does each contender have in his arsenal, and how will each fare in the battle? Content only providers like Netflix, Hulu, Amazon and YouTube are noteworthy players in this war. They can either battle in the connected/smart TV realm (which could benefit from a friendlier user interface) or bypass the TV as the starting point, and use second screen apps on smartphones, tablets, and laptops to make these devices the real start screen. That’s where they have more control and ability to engage and retain the viewer. But they’re not the only ones with that ammunition, as MSOs and networks can take the same route, as many already have. Hardware manufacturers like Samsung, LG, Vizio and others currently control the start screen, so it’s theirs to lose. While they had largely ceded control to service providers whose set-top boxes and satellite dishes take immediate control of navigation, they’ve been given another chance in the connected world. As the battle wears on, these manufacturers are racing to pump up Smart TV content with games, advertising, software and other features. But despite these efforts, the US will soon be lagging behind other markets in Smart TV sales. In addition to the content challenge, the typical 5- to 7-year purchase cycle for a TV puts manufacturers continually behind the curve on delivering new “f-factors” (fun, features and functionality). TV makers could gain more of an edge in the war by delivering their own low-cost mini-hardware upgrades in the open market – perhaps in the form of low-cost dongles or plug-and-play devices that break out of the traditional purchase cycle and give new functionality to aging TVs. Device manufacturers, Apple with AppleTV, Roku, Boxee, and Google with Chromecast are a mixed lot. While they don’t own the start screen yet, this group is more nimble and diverse than the larger hardware guys, so they have a good shot. However, some of these devices need to address ease-of-use issues before they can reach critical mass. And, to survive the long-term battle, all device manufacturers need a recurring revenue stream to make up for the typically low margins in device sales. Among this group, Apple and Google are well positioned for success because of their ability to treat devices as loss leaders while building the mass market acceptance needed to win service fees and transactions at a massive scale. Chromecast gives Google (which can certainly weather a loss leader) a low-cost device to not only simplify web video access, but to boost YouTube viewership and revenue as well. Meanwhile, we should keep a very close eye on gaming consoles, especially Microsoft’s Xbox. Gaming console makers have demonstrated their ability to become the centerpiece of the home entertainment system, and with even more media-centric features in the newest versions, they pose a considerable threat. Historically, multi-system operator (MSO) and multichannel video programming distributors(MVPD) such as Comcast, DirecTV, Verizon and others have owned the start screen and the TV viewing experience. These players currently have a distinct advantage over others because they are flush with subscriber fees and aren’t shackled by major manufacturing costs. They also have the advantage of being able to deliver content to multiple devices. Over time, this group may not even use the traditional set-top hardware and could deliver the entire experience on a lower-cost device/dongle or directly over broadband (typically owned by MSOs). While we continue to hear pro cord-cutting arguments, the truth is that a la carte TV would be more expensive than most Pay TV. (Read Ben Thompson’s StraTechery column for more on that.) The question for this group is: can they innovate quickly enough to build a compelling value prop for cord-cutting advocates and other consumers? Tablets and smartphones are making a grab for the start screen as more people put laptops and notebooks aside. In fact, video viewing increased by 41% on phones and 59% on tablets during the first half of 2013. Many viewers use tablets and smartphones as their start screen before they even look to the TV, relying on web-based aggregators or network-owned apps for easier-to-navigate content discovery. As such, these devices favor aggregators and content owners and could potentially displace cable boxes and other OTT devices. And the victor is??? There are still battles to be fought in the war for the start screen, chief among them the struggles to deliver content to fragmented devices, simplify user interfaces, and improve search and discovery tools. In the end, control of the start screen will come down to who can connect consumers to the most value and the best experiences – so while the battle may be ugly, consumers will ultimately benefit. And, while it remains to be seen who will persevere in the next phase of the war for the start screen, history makes one thing quite clear: the ability to capture a viewer’s rapt attention the moment the screen flickers on is a war worth waging. If you want to build up a collection of great ebooks on your Kindle without spending a dime, Red Ferret has a simple but neat trick to use Amazon’s individual RSS feeds and our favorite web automator, IFTTT. Lurking just beneath the surface of estuaries across many parts of Asia are archerfish, natural-born assassins who overcome a shocking number of challenges as they shoot targeted streams of water at nearby insects, knocking them down into the water where they become easy dinner targets. 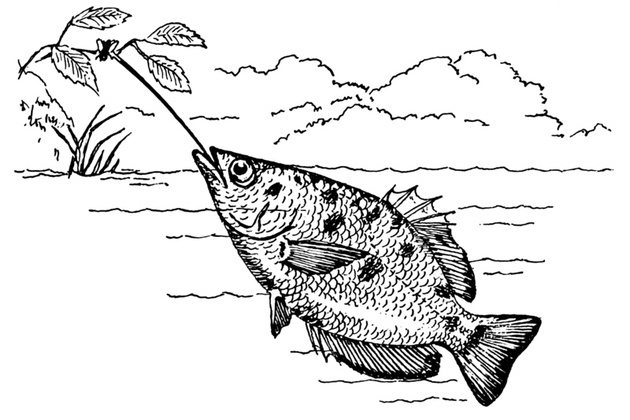 Wired takes a look at the seemingly impossible physics of the archerfish’s weapon of choice, from distorted optics (have you ever looked up from the bottom of a pool? ), to the effects of gravity, to a clever tactic that the creatures use to increase the speed of their aquatic bullet as it approaches its target. If you’re reading this and you’re a beetle with a penchant for hanging out near brackish water, be on the lookout. Last we heard from the founders of Bonaverde, they had just launched a Kickstarter campaign to raise $135,000 to produce a coffee maker that turns green, unroasted beans into a cup of coffee in under 14 minutes. At this point the startup has raised $465,475 with eight days to go, so we caught up with founders Hans Stier and Felix Artmann when they were in New York to check out a prototype of the machine. You may be wondering if this was just an elaborate ploy to get a free cup of coffee. The answer is yes. As far as user experiences go, the Bonaverde is about as easy to manage as the Keurig you bought for your dad on Black Friday – although presumably less so on the cleanup. A couple spoonfuls of green coffee beans go in the hatch on top, you hit “On,” and the machine does its thing: roasting, cooling, grinding, and brewing the beans. Unroasted beans stay fresh for months – much longer than the pre-roasted beans you might otherwise buy – so flavor is one of the claims on which Bonaverde is staking its business. Turns out their machine brews really solid coffee that’s neither stale-tasting nor bitter. Some critics have pointed out that roasted beans should be allowed more time to air before they are ground, and while that may be optimal, Bonaverde’s coffee was still really good. 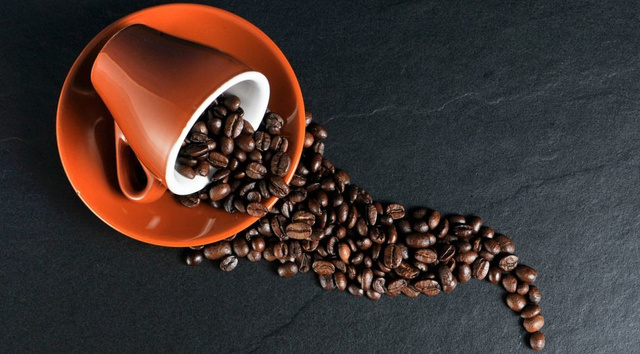 When it launches Bonaverde will also serve as the online marketplace for the raw beans, meaning coffee farmers can connect directly with their end consumers. Down the line, the site will feature all of the producers that shoppers can buy from. Note that coffee maker in the video is just a prototype of the one that will go to market, which has a much prettier exterior. InfoScout’s survey of Black Friday sales shows Xbox One at the top at Target and Walmart. Call of Duty: Ghosts tops the list on Black Friday sales. Microsoft’s Xbox One was the most popular video game console on Black Friday, according to a survey of early shoppers by shopping market research firm InfoScout. The Xbox One video game console dominated the rankings at Walmart and Target, coming in No. 1 with a 31 percent share even though it had the highest purchase price at $499. These rankings may not hold up, but they’re they earliest indicator in a console war that will go on for years to come. The news isn’t entirely bad for Sony as sales were evidently constrained by limited availability of its new PlayStation 4, which launched on Nov. 15, one week ahead of the Xbox One. But it does suggest that Microsoft succeeded in preparing its supply chain for a torrent of sales. At No. 2 was Microsoft’s older Xbox 360 console, which had a 30 percent share. The Xbox 360 sold for $180 at Target and at a door-buster price of $99 at Walmart. Meanwhile, Sony’s PlayStation 3 and PlayStation 4 tied for third with a 15 percent share each. The PS3 sold for $149 at Walmart and $199 at Target while the PS4 sold for $399 at both chains. Nintendo’s Wii U console came in a distant fifth place with 6 percent market share. It sold for $299 at Walmart and $275 at Target while Nintendo’s older Wii console was sixth at 1 percent market share, selling for $99 at Walmart and $129 at Target. Together, the Microsoft consoles had 61 percent of the market, and the next-generation consoles (the PlayStation 4 and Xbox One) had a total of 46 percent of the market. Meanwhile, Call of Duty: Ghosts was the No. 1 selling game by a large margin, based on the chart from InfoScout. Of those who bought a console, 85 percent said they plan to purchase two or more video games during the holiday period. 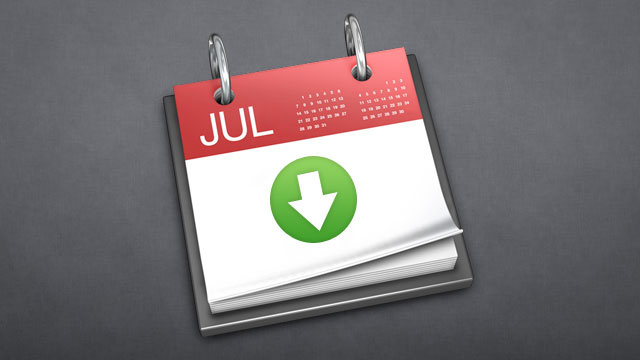 About 80 percent of consumers said they purchased their machine as a gift, but 10 percent admitted they would likely open it up before Christmas. The survey was based on about 83,000 shopping receipts from about 3,000 people on Black Friday, which was about double the normal shopping trips that InfoScout tracks in a day. InfoScout’s mobile apps, Receipt Hog and Shoparoo, incentivize 125,000 Americans to submit pictures of their everyday shopping trips. 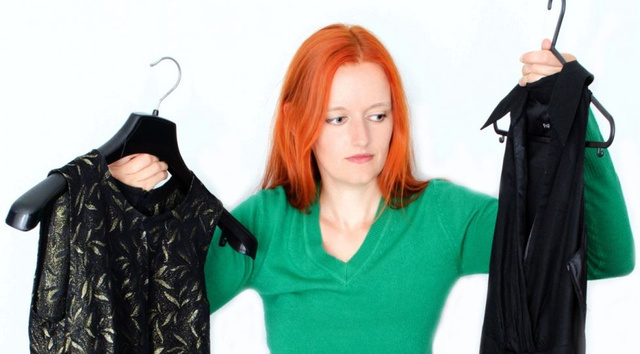 The company processes this information and comes up with analyses within 24 hours of purchases. Paul Bragiel, the batshit crazy awesome VC who has been training for months in the Arctic Circle to compete in the Sochi Winter Olympics, has a side charity project up his sleeve. After seeing dozens of other younger Olympic contenders struggle to raise funds for training, he felt he needed to do something to help out. Some friends over at Belarusian and Lithuanian gaming studio On5 offered their talents pro bono to develop a game called Team Paul Skiing. It’s a beautiful, little side-scroller that takes a player through Bragiel’s training as he skis in Finland, which is where he’s done the bulk of his preparation. Then it shifts to Colombia, the country that gave Bragiel citizenship to compete on behalf of its Olympic team. And finally it ends in Sochi, Russia, where the Olympics will be held next year. They set a low goal of raising $10,000 in the next seven days, and half of the proceeds will go toward different youth sports foundations in Finland and Colombia while the other half will go toward game development. But they hope to raise somewhere between $25,000 and $30,000. Bragiel, who started i/o Ventures out of San Francisco, decided earlier this year to realize his lifelong dream of competing in the Olympics. But there were many hurdles. For one, he didn’t have a sport. Then, he was also pretty old for an Olympic hopeful at 36 years of age. But he’s hacked his way so far. After considering everything from curling to the luge, he settled on classical cross country skiing, which is a more traditional Winter Olympic sport that has more lenient rules around qualifications. Then he secured citizenship in a warm, tropical country that is less competitive for winter sports – Colombia. Now he’s in the middle of qualifying races. To make it to the Olympics, he must be able to finish five qualifying races where he’s not more than 10 minutes behind the world’s top cross-country skiier – no hard feat. He’s competed in his first qualifying race already, which was a miss. But he’s definitely not deterred. There are plenty more to come. 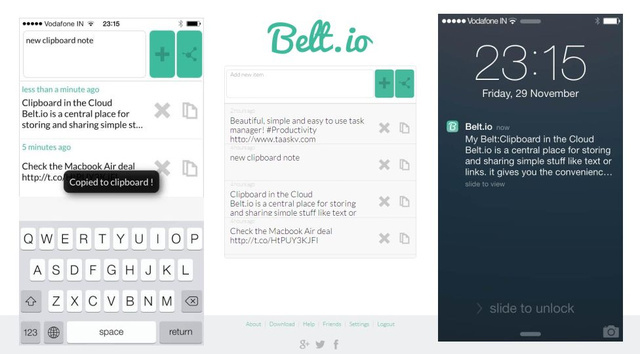 Web/Chrome/Firefox/iOS/Android: If you want a simple cloud-based clipboard that syncs notes across different devices, then Belt.io gets the job done without much fuss. The Internet wasn’t kind to media. Huge media corporations have managed to transform their businesses, for the most part, but independent media, often playing a vital role in emerging countries, are seriously threatened by the lack of available funds. However, crowdfunding isn’t the only way IndieVoic.es aims to help independent media raise money. By announcing no-interest loans and mini-loans for 2014, the platform will enable its users to choose the best funding option for their media. Think of it as a mix between Kickstarter and Kiva. “Our goal is not just to fund independent media. 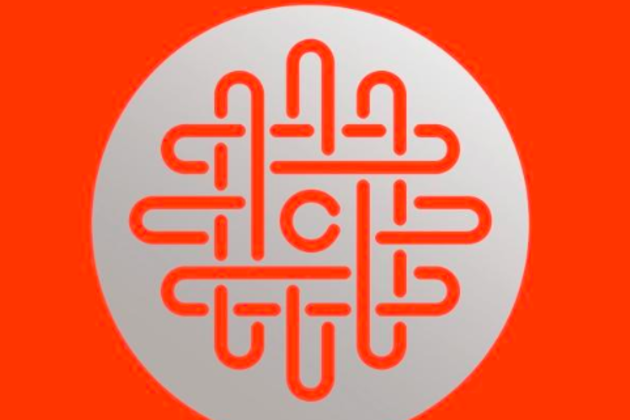 We want to engage the audience and democratize the ownership of media. It is the only thing that hasn’t changed about this industry in the past 20 years” stated Vucinic in an interview for Netokracija. And he should know a thing or two about financing media. Vucinic co-founded Media Development Investment Fund which he ran for over fifteen years. During that time, MDIF has raised 123 million dollars and funded more than 220 independent media projects all over the world. “Our goal is to break-even beginning 2016. If our revenue is higher than expected, we will definitely lower our initial cost per campaign”, Vucinic added. Although media isn’t every investor’s cup of tea, “there are those who might find interesting opportunities in specialized media covering a range of interesting subjects”, stated Vucinic. Is IndieVoic.es leading the revolution independent media owners have been waiting for? It sure seems like it. 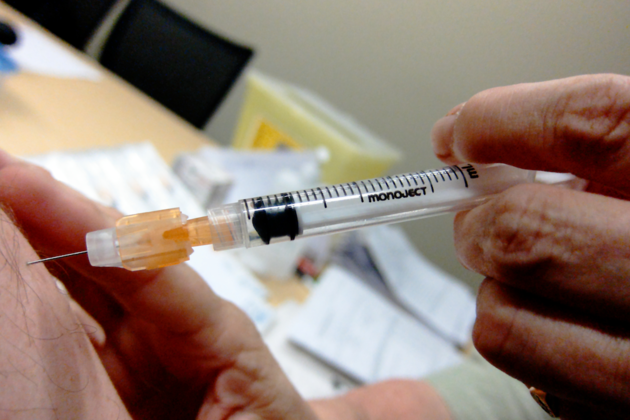 Vaccinations have been credited with some of humanity’s greatest health technological triumphs over disease, including drastically reducing polio around the globe and almost eliminating smallpox entirely. But how many people have been spared life-threatening infections thanks to the introduction of vaccines? At least 103.1 million children in the US alone since 1924, according to a new analysis of historical infection rate data going back to 1888. Platitudes are a dangerous way to build a company. What passes today as start-up wisdom can be attractive, even seductive to new entrepreneurs. We have witnessed the creation of a sub-industry of how-to advice on creating the next tech blockbuster. Don’t get me wrong: A lot of what’s written or spoken about is incredibly valuable, but, out of context, of it can be dead wrong, even dangerous. I am a fan of the Lean Startup approach. If you are creating a consumer app in a new category, the idea of minimum viable product (MVP) is an ideal way to get something out, test it, and then either move forward with conviction or fail fast. If you are going to take on a large technology or Internet company on their home turf, then you should be thinking about the winning viable product (WVP), the one that will give you a multi-year lead over incumbents. Make no mistake, if you are just a bit better than the incumbent, you will likely flame out early. Try messing with a giant’s profit sanctuary: A market leader will fight, discount and outright stretch the truth about pending capabilities while they hustle to catch up. Moreover, their installed base will usually wait for them if the gap and obvious benefits are not wide enough. Switching costs are one the most powerful forces in the tech universe. If you want to take a market away from a multi-billion dollar player, to paraphrase former Chairman of the Joint Chiefs of Staff Colin Powell, enter a conflict with clear intent and overwhelming force. Since you cannot manifest this early on with market reach — sales, marketing, deep customer relationships, etc., — then your product must make the decision a no-brainer for customers. WVPs are your weapons of mass disruption. When a shift in the market occurs, the “execution machine” must be in high gear if you want to translate early mover advantage into something sustainable. Prior execution machines such as Data Domain gained disproportionate benefits,particularly in the first few years of creating a new market, by pushing the pedal closer to the metal as sales took off. You could argue this underlies the early (and continued) success of Salesforce.com, Facebook, FireEye, and even Snapchat (yes, I said Snapchat!). This means your product both must hit its target market with force and then you have to hit the afterburners to get to as many paying customers as possible. Build your company, product, and go-to-market like you are a participant in the Hunger Games. This takes a lot of confidence not only of product fit, but market readiness. Moreover, if your company will take some to monetize, then you need a big war chest. This is why we are seeing larger A and B rounds. There is nothing smarter than being cheek-to-jowl with your early customers. Do your job well, and you will have them for life. Building a company, though, is not about going to the prom. Sometimes your initial customer group is actually a poor fit for your product strategy (e.g., you were thinking about a vertical insertion in retail and healthcare is a more attractive segment). You have to get past an emotional conflict, like a teenager leaving the dance with a different date. An entrepreneur must not fall into the trap of Shakespeare’s Othello: “one that loved not wisely, but too well”. Some companies build their strategies around being in the “herd,” one of five to 10 players in a market with a hope of getting acquired. 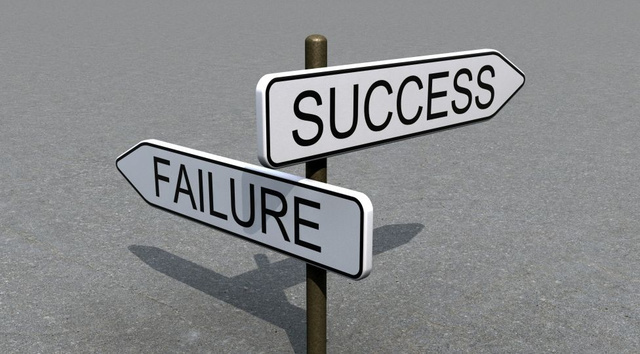 That is a failed path for your company and your investors. Most value accrues to top one or two market share players. Alan S Cohen is the Chief Commercial Officer of Illumio and a technology veteran working on his fourth startup. Cisco and VMware acquired his past two companies, Airespace and Nicira, respectively, for $450 million and $1.26 billion. He serves as an advisor and board member to several technology companies. “In the coming decade, wearable technology will touch nearly every aspect of our lives. It will allow us to bring the power of the Internet to everything we do.” –Marcus Weller, Ph.D. It was a hot summer day in Spain. I had been riding my motorcycle along the beautiful, sun-drenched streets of a University campus I was visiting in Barcelona when I looked over to the right to read a street sign. Just then, a little red Smart car in front of me slammed on the brakes. I braced for impact, and then seemed to watch in slow motion as I smashed into the back of the car, totaling my bike. (As a side note, Smart cars are a lot more solid than they look.) I escaped with only minor injuries, but something deep in my psyche had been triggered. About six months later, I had an incredibly vivid dream that I was back on the bike that day. The difference was that this time, instead of crashing I skipped reading the street sign and simply followed the GPS maps that were floating directly in front of the helmet like a hologram. It was a beautiful solution to my problem. This dream sparked what was later to become the Skully P1, the world’s most intelligent heads-up display motorcycle helmet with GPS navigation and a 180° rearview camera. We built this vertically integrated device on the belief that intuitive wearable technology design could not only make people safer, but could also enhance their experience of the world. There is still much to learn as this exciting era of technology unfolds. What many understand already is that investment in new technology not founded on authentic utility is the stuff bubbles are made of. Wearable technology should at its core, enable us to transcend our problems. Emerging wearable tech leaders have an economic imperative to solve real problems if wearables are to become the omnipresent, multi-billion dollar industry many predict. If these conditions are met, a future of ubiquitous wearable technology may quite literally be upon us. *Thank you to Andrew Schirmer and Sean White, Ph.D. for their thoughtful contributions to this article. Marcus Weller is founder and CEO of Skully Helmets Inc., which is pioneering advanced Heads-Up Display (HUD) technology solutions for the head protection industry.